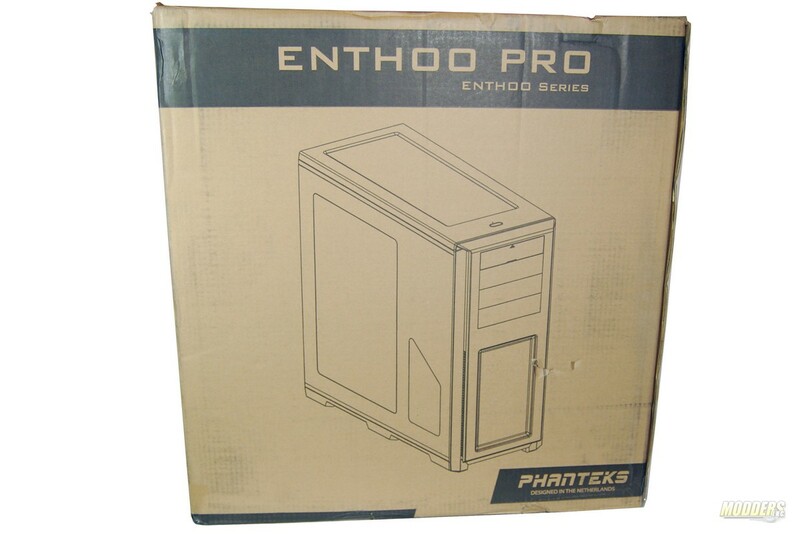 When you hear Phanteks Enthoo, the first thing you probably think of is the Primo. 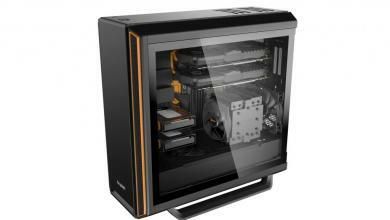 The massive full tower case that has been widely praised over the last year or so. However, the Primo was just the beginning for the Phanteks Enthoo series. During this review we’re going to be looking at a new case, the Phanteks Enthoo Pro. You could consider the Pro to be the smaller brother to the Primo. Hopefully we can find many of the features that made the Primo so popular, in the Pro. 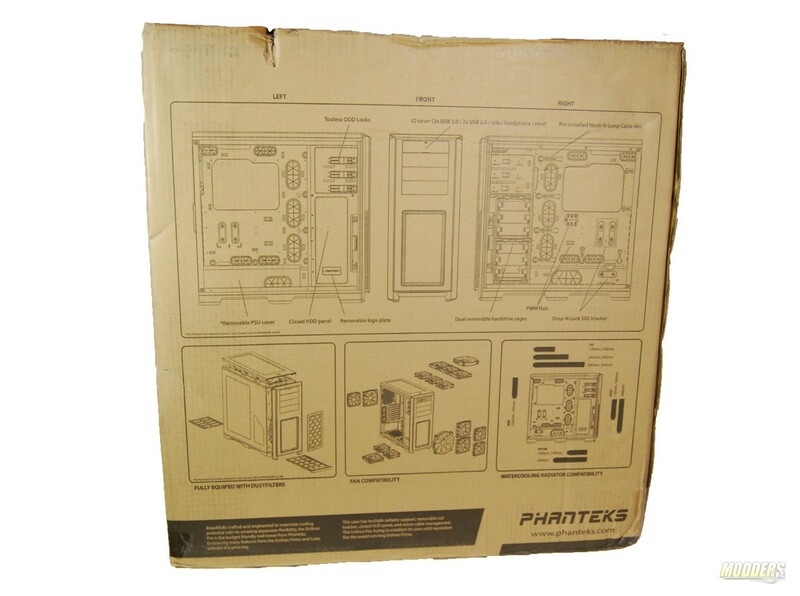 The Phanteks Enthoo Pro comes in two variants. There is a windowed as well as a non-windowed version available. We’re going to be taking a look at the windowed version. The MSRP pricing on the windowed version is going to be $99.99 USD and the non-windowed version is going to be priced at $89.99 USD. 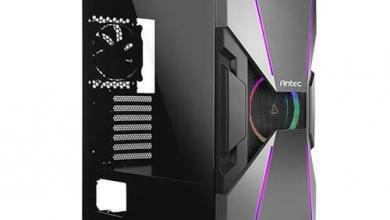 So either way you’re spending right around $100 on a mid-tower case, so hopefully it’s got some impressive features to go with the price tag! 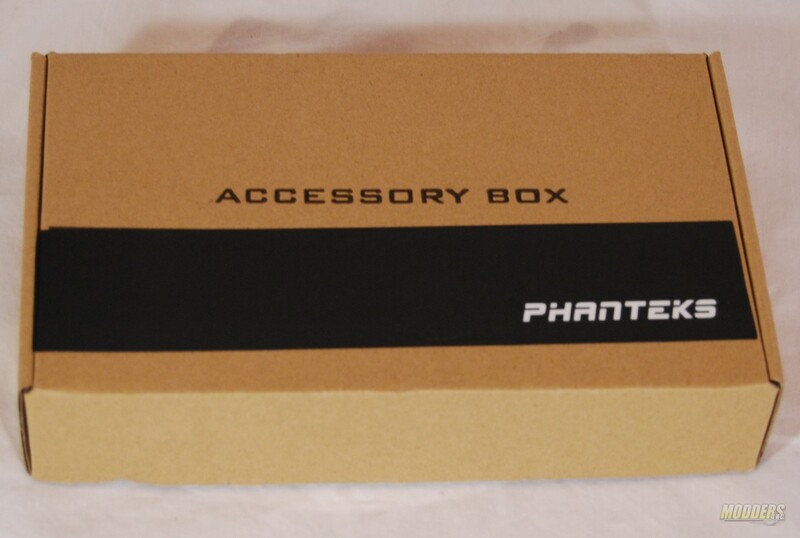 Phanteks has put a 5 year warranty on the Enthoo Pro, so for $100 you have at least 5 years worth of peace of mind! 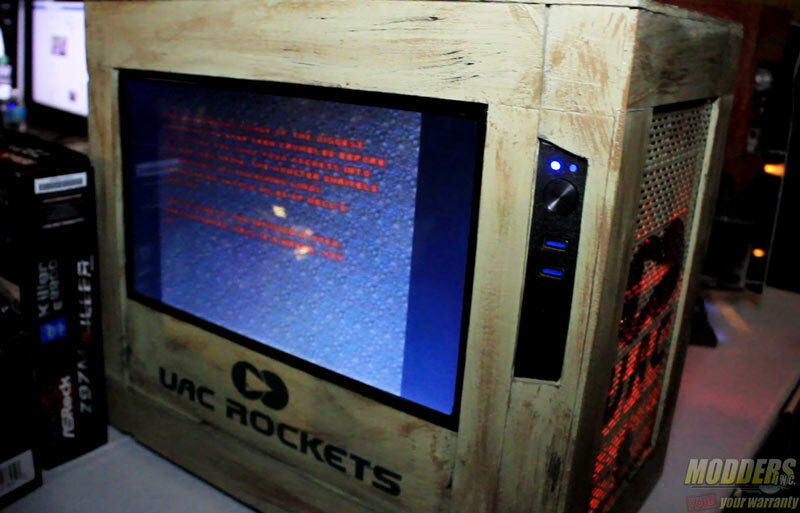 Our review unit is one that was sent before the final retail version went into production and we were told that only slight modifications were made. As you can see, the front of the box features a large outlined graphic of the Enthoo Pro windowed case. We have a large rectangle window as well as a smaller trapezoid shaped window. 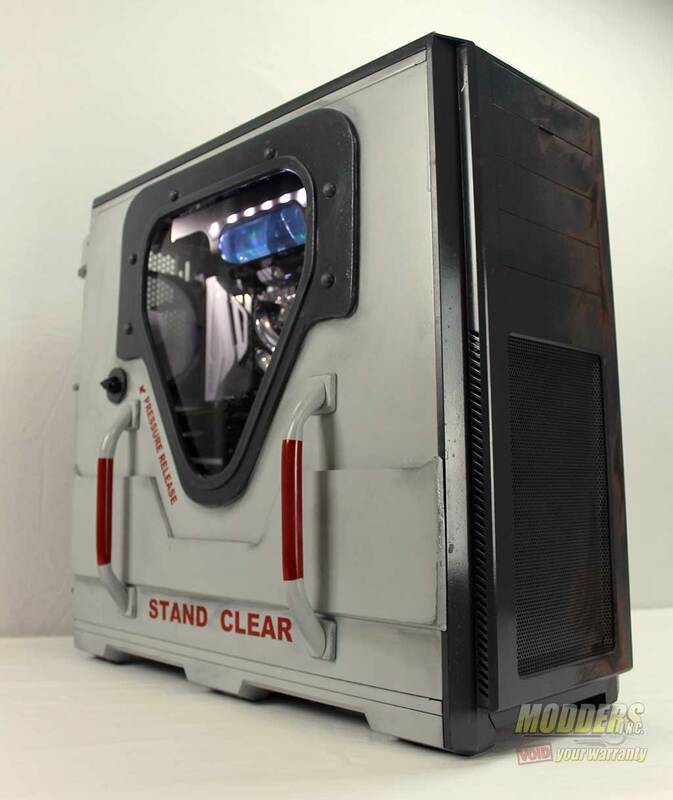 We see a large open area on the top of the case, which is presumably a location for fans and/or a radiator. Spinning the box around we see several large graphics of the internal and external features of the case. 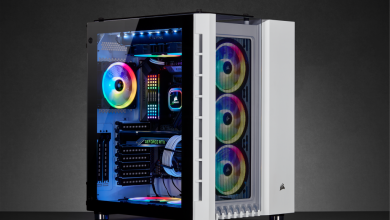 We also see the Phanteks logo in the lower right hand corner, followed by their website. If we turn the box 90 degrees and take a look at the side, we see a large list of the specifications on the case. At the bottom we can see two boxes, where the model of the case is noted and marked. Once you open the box you’ll find the case secured very nicely with large pieces of white, hard foam. 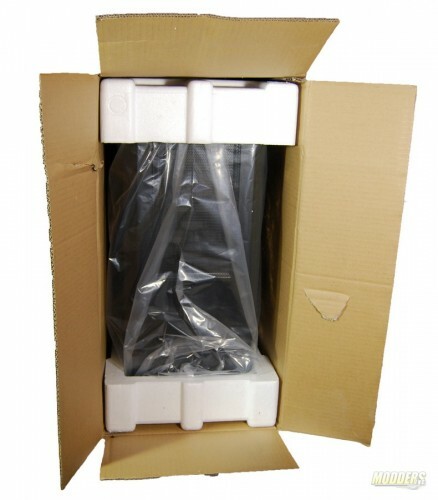 The case itself is wrapped in a plastic bag, to prevent anything from scratching or damaging it. 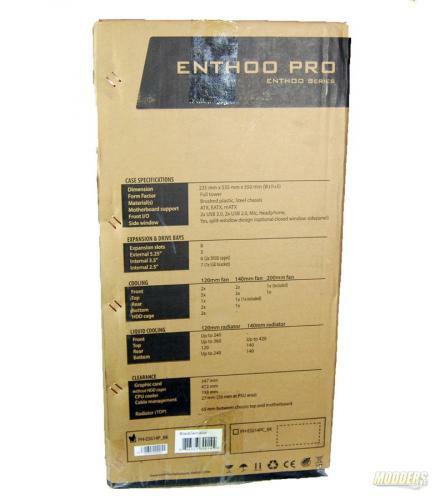 Inside the case you find a large brown cardboard box, which houses all the accessories and manuals for the Enthoo Pro case. Once opened we found a nice plastic case that housed every single screw you could ever need for the Enthoo Pro. In the box you also find a reservoir mounting plate as well as your manuals. 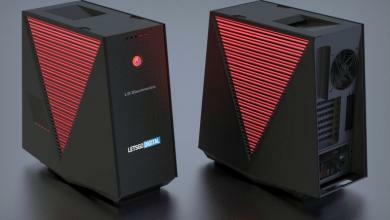 So, now I am torn between this and the NZXT H440. 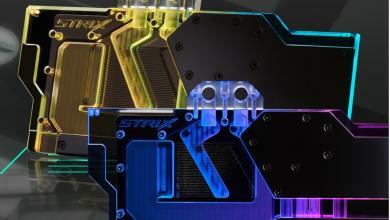 I am looking for appearance, silence, and h2o cooling potential. 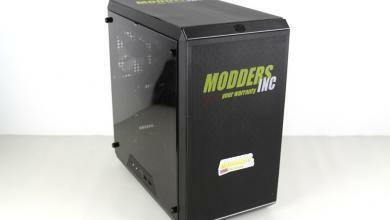 Having not used the H440 personally, I’d suggest having a read of our review on it. 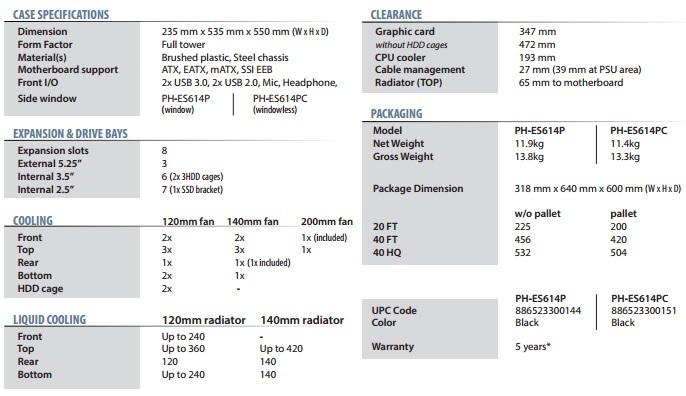 However, I can tell you that the Enthoo Pro could potentially come up short on the H2O performance as mounting options for rads aren’t quite as broad as the H440. 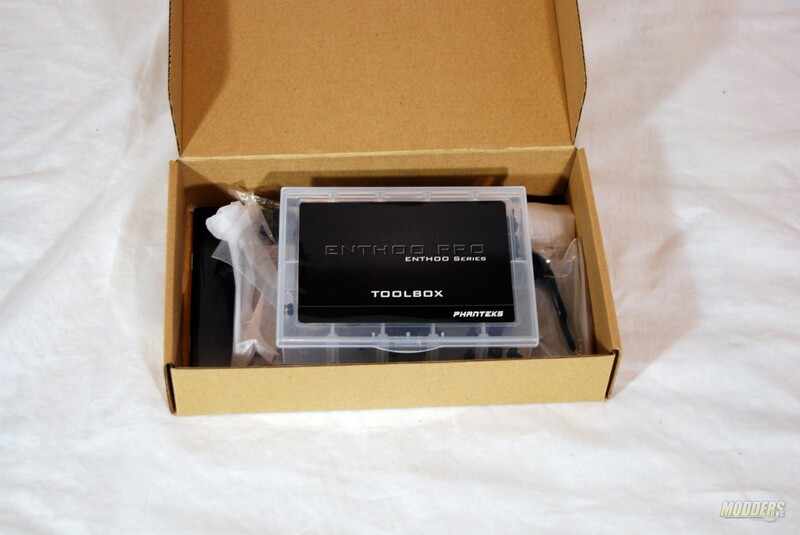 If you’re using an All In One cooler, the Enthoo Pro is a fine choice!